The letter of the law versus the spirit of the law is an idiomatic antithesis. When one obeys the letter of the law but not the spirit, one is obeying the literal interpretation of the words (the “letter”) of the law, but not necessarily the intent of those who wrote the law. Idiomatic – using, containing, or denoting expressions that are natural to a native speaker. Antithesis – Direct contrast; opposition. Idiomatic Antithesis: What do you do when you have to follow the letter of the law, but you have wiggle room to interpret said law to maintain the integrity of your work? Access to agendas for City Council, Planning Commission, Measure Z Oversight Committee and some subcommittees have been somewhat enhanced, although not entirely, by the city complying with the requirements of the Grand Jury. 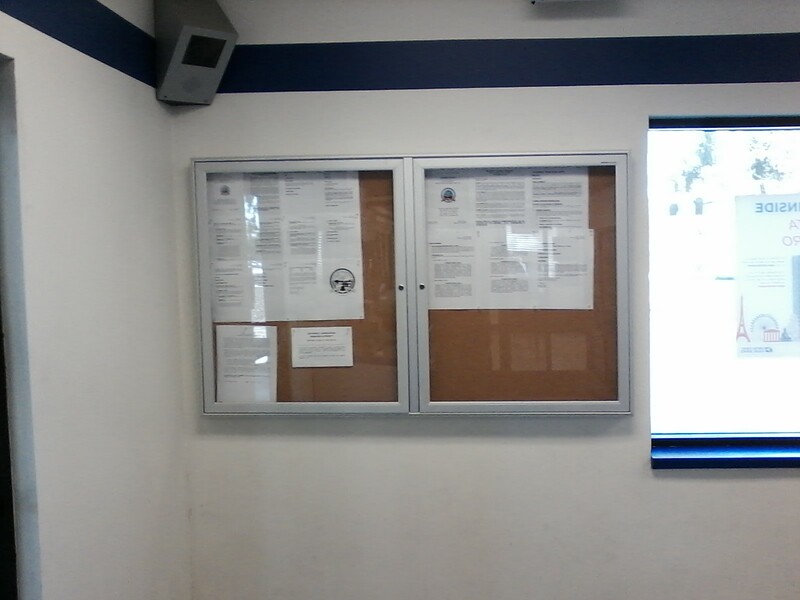 A new bulletin board has been installed in the P.O. Box Lobby open from 4:00am – 10:00pm. 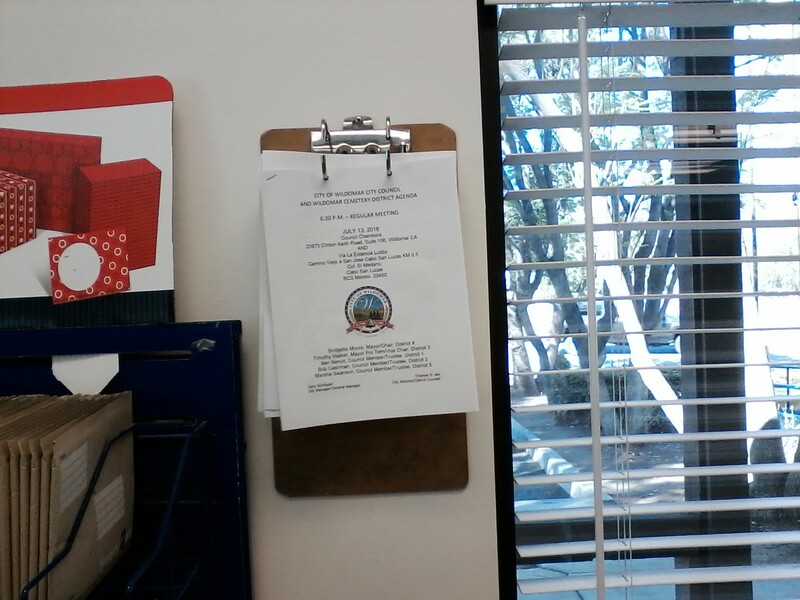 This is an improvement over the city notices being posted on a clipboard in the retail lobby which was only opened from 8:30am – 5:00pm. 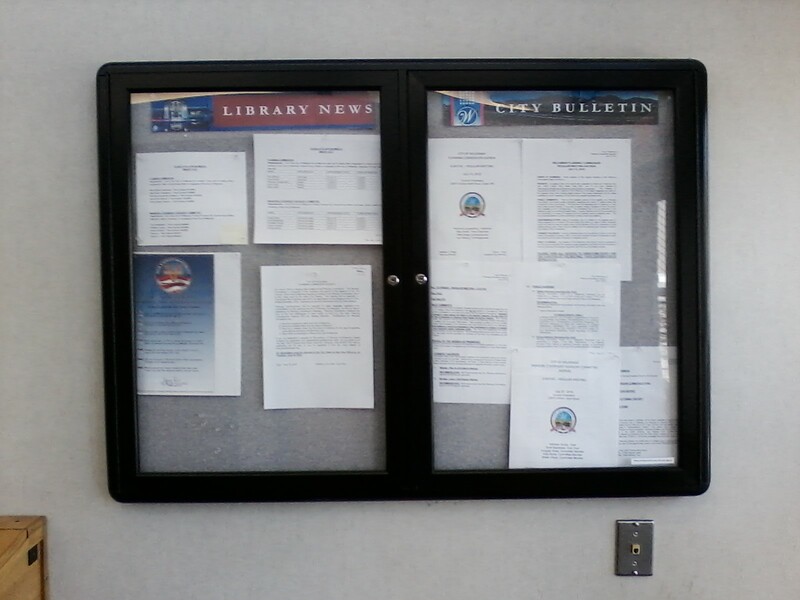 The Wildomar Library has cleaned out all materials not related to city business from a new bulletin board in the entrance lobby. This is not much of an improvement over the previous situation because this building is still inaccessible for 16 hours each weekday, 19 hours on Saturday and all day Sundays. For a typical city meeting held on a Wednesday at 6:30pm notice is required to be posted 72 viewable hours prior, or no later than 5:30pm Sunday because Closed Sessions begin at 5:30pm and Public Comments are allowed. Section 54954.2, subdivision (a) requires that the posting occur in a location that is “freely accessible” to members of the public. “Accessible” may commonly be defined as “capable of being reached . . . capable of being . . . seen . . . .” (Webster’s Third New Internat. Dict. (1971) p. 11.) “Freely” in this context may reasonably be defined as “without hindrance.” (Id., at p. 906.) Obviously, locked doors would provide a “hindrance” to the agenda being “seen” during the 72-hour period. If an agenda cannot be viewed where it is posted, the purpose of section 54954.2’s posting requirement would be frustrated. Members of the public cannot be expected to have full opportunity to learn of agenda items of interest if the place where the agenda is posted is inaccessible to them during any portion of the required 72-hour period. 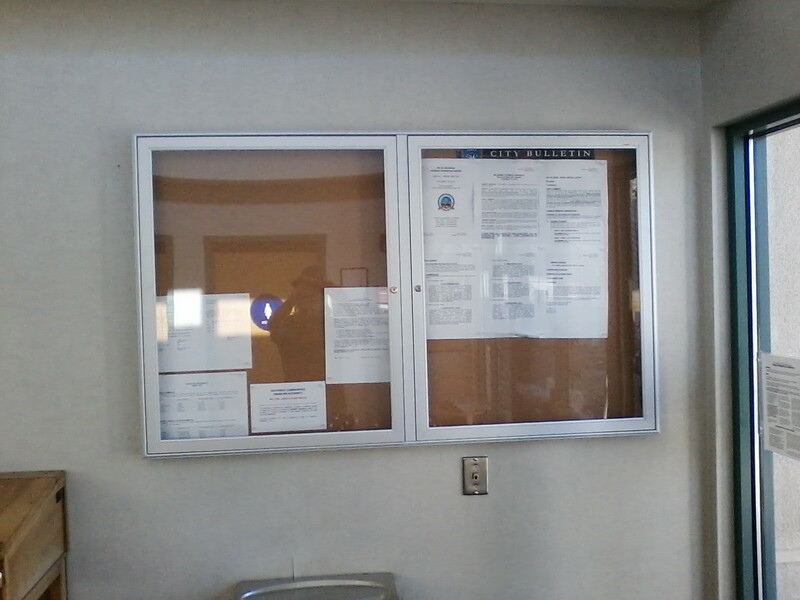 If the building in question is closed during the evening hours, the agenda may be posted on the outside of the building in a lighted display case if necessary. For the Post Office access is unavailable for only 18 hours total vs the 46 hours previously. A vast improvement. 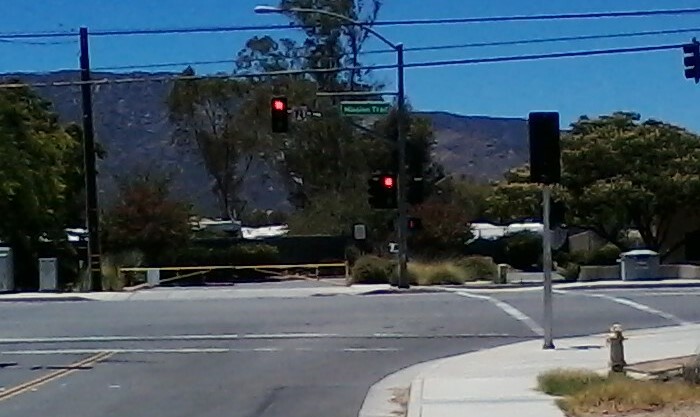 This entry was posted in Daily Ruminations, Future City of Wildomar and tagged Wildomar City Attorney, Wildomar City Clerk, Wildomar City Council, Wildomar City Manager on October 28, 2016 by Kenny.